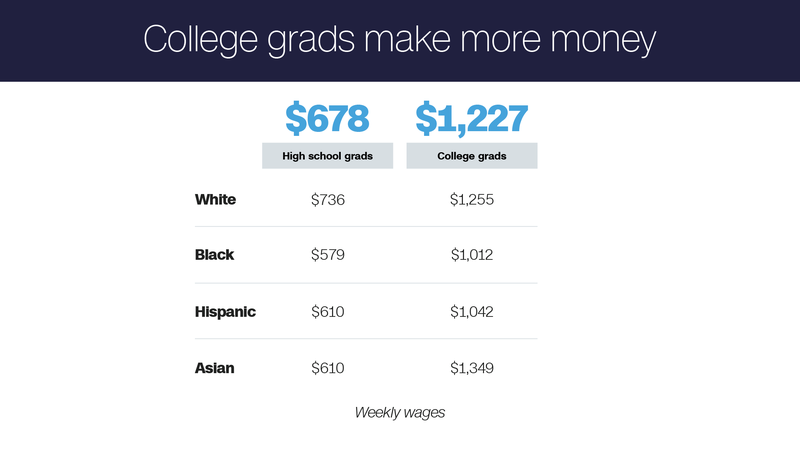 Just how much better off are college grads anyway? Having a college degree – versus only a high school diploma — makes a big difference when it comes to employment and wages. 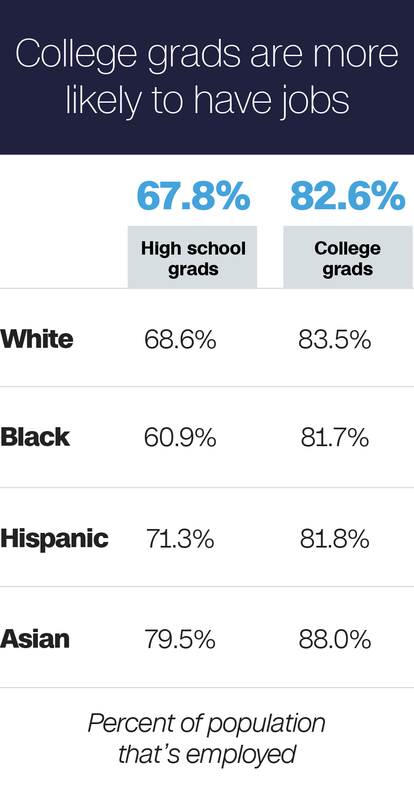 The gaps grow even more stark when you break it down by race. 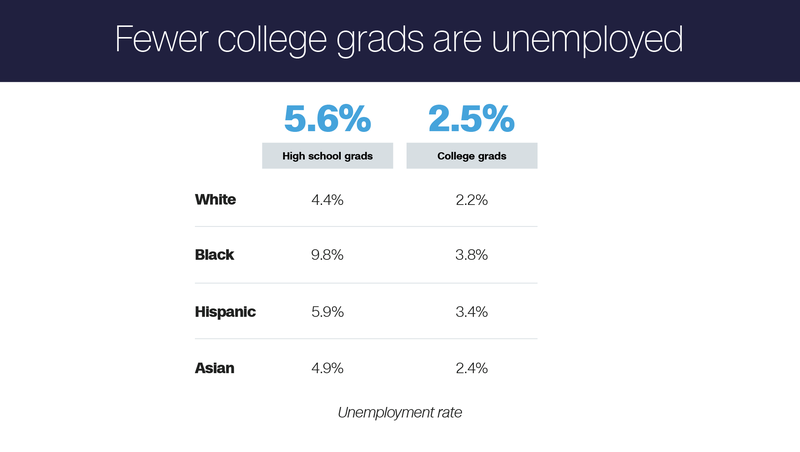 Source: Bureau of Labor Statistics data for 2015; Published April 5, 2016. 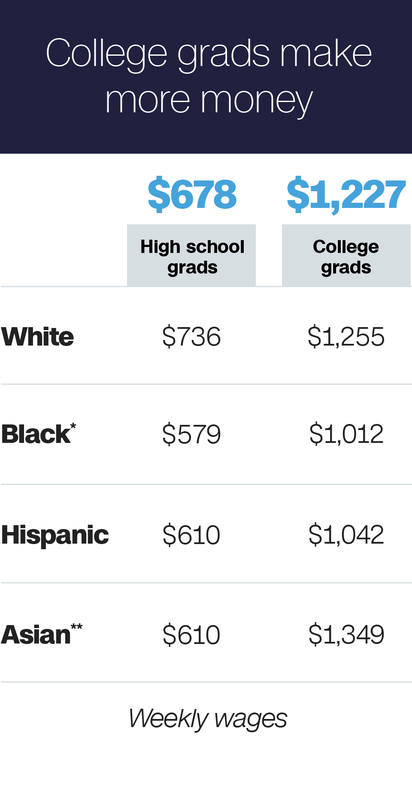 Notes: Age 25–64; Median weekly wages; Figures for blacks include Black-Hispanics. 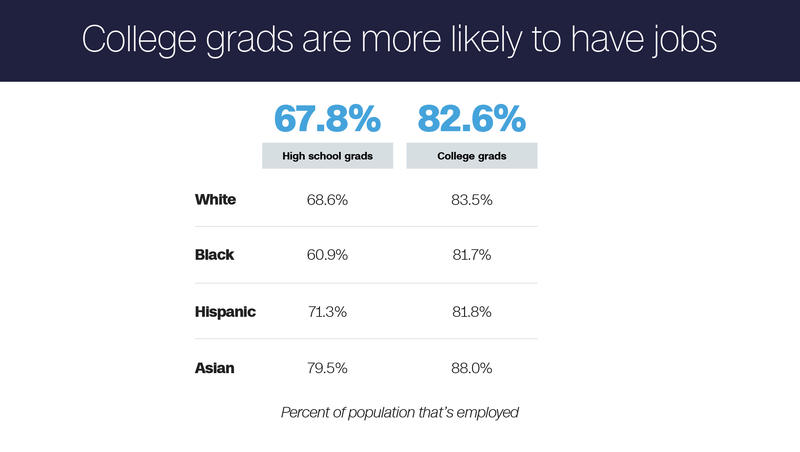 Figures for Asians includes Asian-Hispanics.